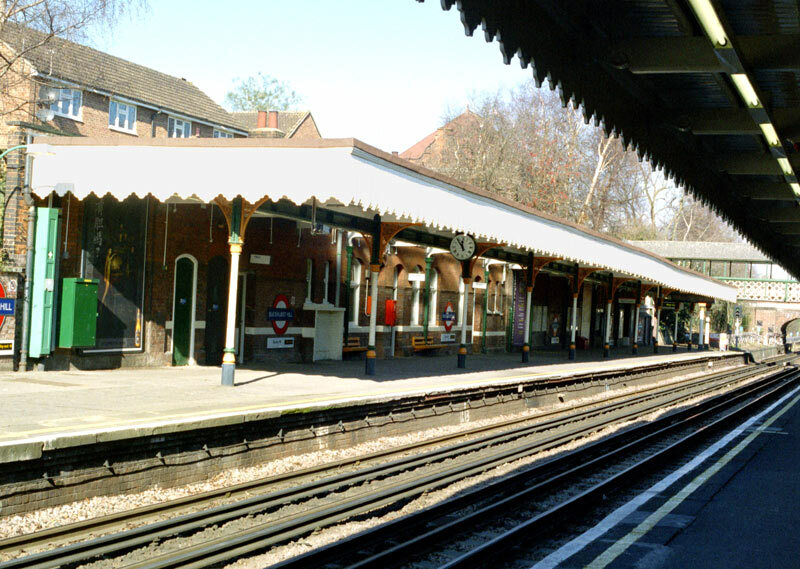 Buckhurst Hill station on London Underground's Central line dates from 1892 and typically for stations of that era included platform shelters, waiting rooms and staff accommodation. Technically this station is in the County of Essex - and therefore not actually in London, as it is outside of "London" as defined by local government boundaries. However, this is still very much part of the "London" built up area and still has a London telephone code - which is more than can be said for places such as Romford, Upminster, Ruislip and Uxbridge, which despite being in "London" as defined by local government boundaries do not have London telephone codes! The light on the wall / under the shelter on the far platform comes from the sun shining through the section of glazed platform shelter. It is possible that the placement of the glass skylights in the shelter was designed so that less artificial lighting would be required to illuminate the waiting room which is at the exact same location. 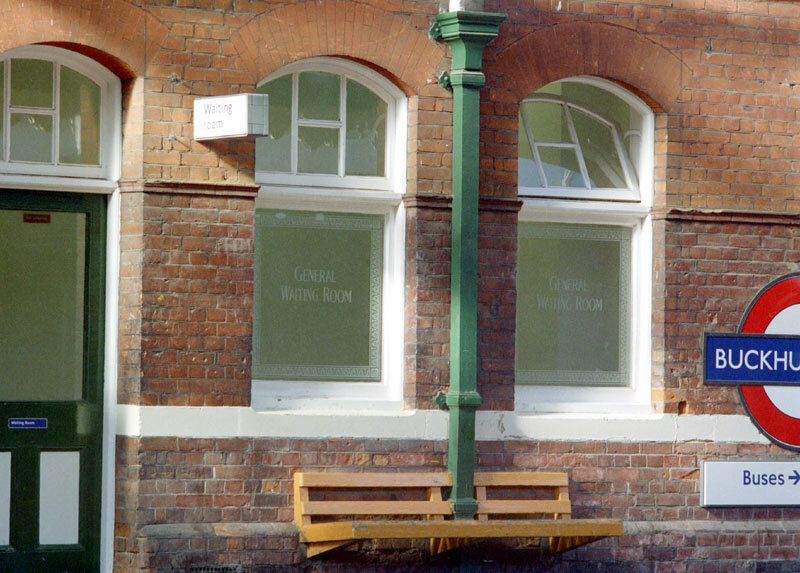 For many years the waiting room featured this period window inscription. 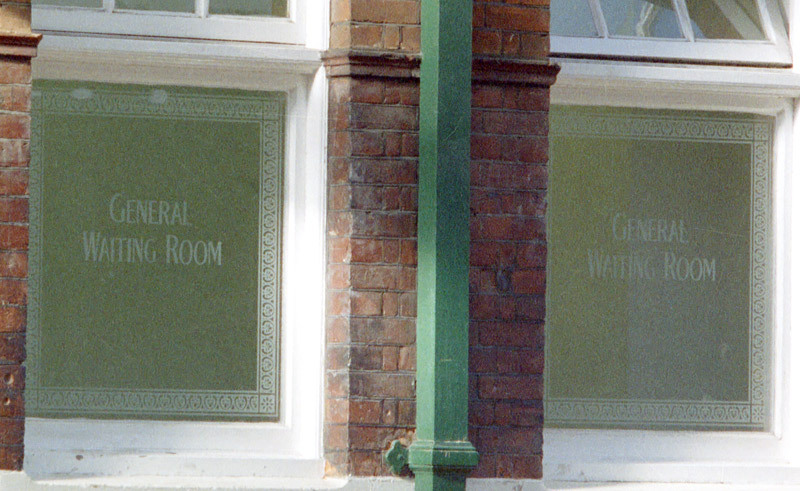 A closer view of the inscription on the waiting room windows. wanton vandalism the etched glass windows were replaced with plain glass. This page last updated 1st May 2017 (a few tweaks).